I walk . . . because both of my Grandmothers and my Sweet Mother, my Aunt (her sister) and my Uncle (her brother) cannot. I walk . 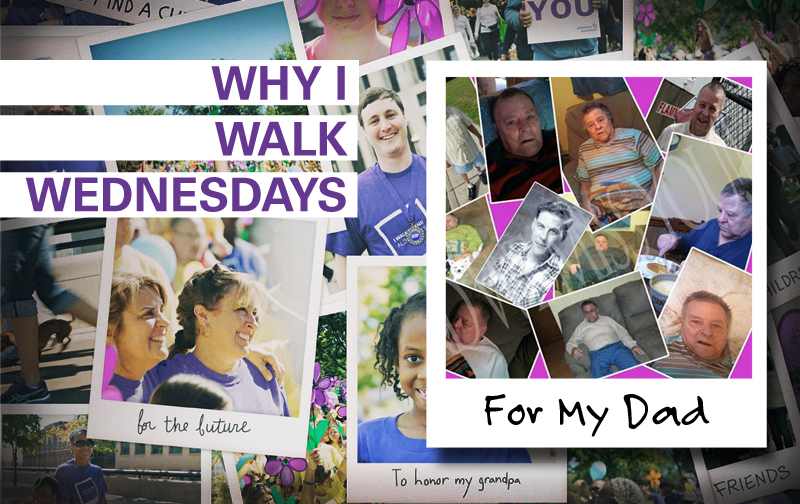 . . because my family has been devastated by this horrific disease, which took their precious memories of loved ones and friends. The years of joy and tears they shed over happy occasions were no longer a memory to them. We were left to watch helplessly and with broken hearts. With this disease they still showed us daily their inner strength and deep faith and they continued each day with grace and dignity. I walk . . . because that’s the only way I know to get the awareness out. Awareness is in numbers in people and dollars. 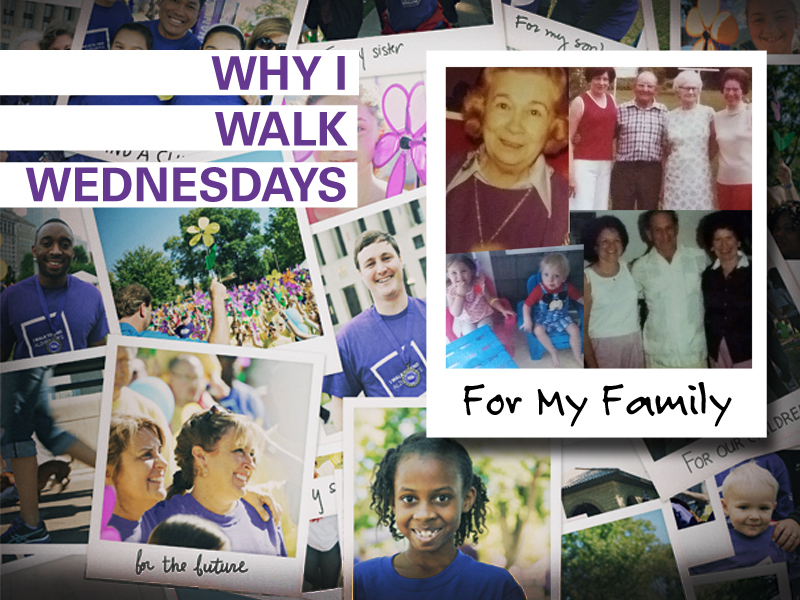 The more attention we get as walkers, the more donations we will achieve for research and a cure. I walk . 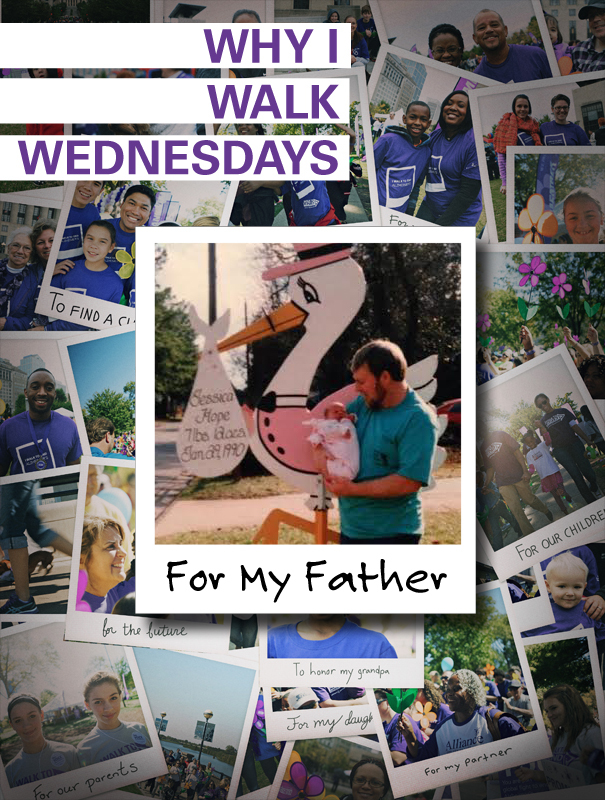 . . so one day my Children and/or my Grandchildren won’t have to, and if they walk it will be a walk in celebration of a cure and honoring those whose memories and lives were taken.